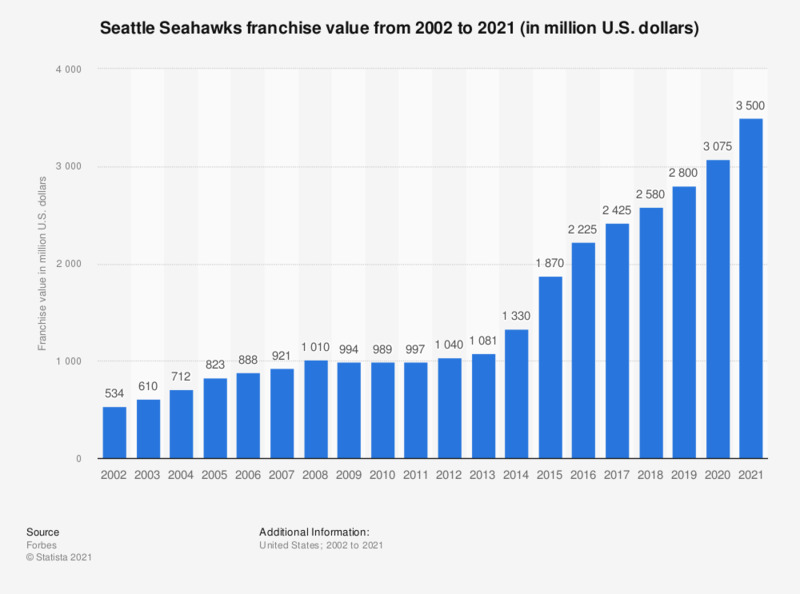 This graph depicts the franchise value of the Seattle Seahawks from the National Football League from 2002 to 2018. In 2018, the franchise value amounted to around 2.58 billion U.S. dollars. The Seattle Seahawks are owned by Paul Allen, who bought the franchise for 194 million U.S. dollars in 1997.